Melissa Turner Lee: Birthday Bash! 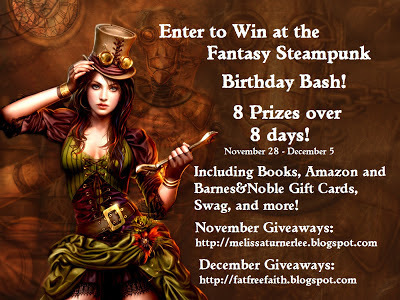 My co-author and friend Pauline Creeden and I are giving away PRIZES GALORE between her birthday and mine. 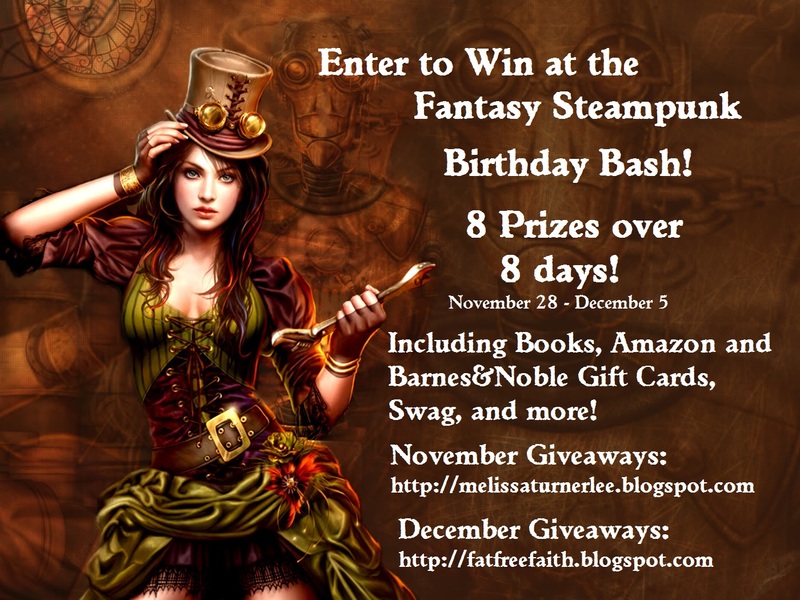 Starting November 28 we're giving away a prize/day until December 5 ~ In honor of our joint FANTASY STEAMPUNK project: Armored Hearts.